Deposit bonuses are offered by practically every casino. That’s why it is important to understand their conditions and specifics. Deposit bonuses are given in the form of free credit, with which you can play normally, the same way you play for real money. If you manage to meet all the bonus requirements, the residual credit transforms into real money, which can usually be withdrawn along with your winnings. If you already know how deposit bonuses work check out CasinoGuru’s list of best deposit bonus offers. The maximum bonus amount is often limited and so you won’t get a bigger bonus, even if you deposit a larger amount. But if you deposit an amount that is lower than the minimum deposit limit, you won’t get any bonus at all. The minimum deposit is usually an amount of 10€ or a currency equivalent. Welcome bonus - A bonus, which you obtain with your first deposit. It is always the largest one, which is why it pays off to deposit as much as possible the first time you make a deposit in a casino. Second, Third and Fourth deposit bonuses - The value of these bonuses is mostly between 50 % and 100 %. Reload bonuses - You obtain this bonus when depositing on a day/month designated by the casino (for instance on Wednesday, or on weekend). The value of this deposit is often around 25% and bonus days sometimes change. Carefully study the promotions offered by your casino and identify the days on which it is most favorable to make a deposit. 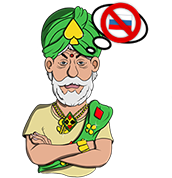 You cannot withdraw bonuses immediately - you always need to use them in the casino first (rollover requirements or wagering requirements). Bonus rollover means that the sum of your bets in casino games must exceed a certain multiple of its original value. With a bonus of 100€ and wagering requirements of 30, you need to rollover 3000€. If you play slots and you spin for 10€, you have to spin 300-times (regardless of wins and losses). Players lose most bonuses before fulfilling their wagering requirements. Only the bonus amount is counted into rollover requirements. For example when you deposit €100 with 200 % bonus and the rollover requirements are 20x the bonus value, you have to roll over the bonus only 20 times. So you have to make €4,000 in real money bets (200€ bonus times 20). The bonus amount combined with a deposit amount is counted into rollover requirements. Let’s take your example a stage further. You would have to make 6000€ in real money bets to meet the wagering requirements of 20x of the bonus + deposit amount. So, clearly, the rollover requirements with just the bonus amount counted are usually better. However, it also depends on the bonus amount and on the rollover requirements multiple. For example, a 100% bonus with 20x bonus + deposit rollover requirements is exactly the same as a 100% bonus with 40x bonus rollover requirements. Similarly, a 500% bonus with 30x bonus + deposit rollover is comparable to 500% bonus with 30x bonus rollover (for a 100€ deposit you need to rollover 18000€ in the first case and 15000€ in the second case), but in the case of the 100% bonus the difference is bigger (6000€ in the first case vs 3000€ in the latter, so the rollover in the first case is double). There are also special bonuses that let you withdraw your winnings even before you meet the rollover requirements. First you play with your original deposit, and only after losing it are you able to start to play with a bonus. If you were successful in a game with your deposit, you can give up your bonus and withdraw your money. Bonuses, in this case, act like a second chance. There are not many casinos offering such favorable bonus terms. We recommend Quasar Gaming which offers this type of bonus and enjoys an excellent reputation. At most casinos, the deposit and bonus are united to form one big bonus. There are usually half as big rollover requirements as there are with separate bonus amounts. Even so, this form of bonus is less advantageous. You are limited on your play by the bonus requirements (maximum bet amount, list of bonus games etc.). And if you win right at the beginning of your bonus, even with your original deposit, you only get your money after meeting the rollover requirements. If you give up your bonus, you lose all your winnings, and the casino would only give you back your original deposit. Because of these restrictions, some bonuses aren’t worth taking, and it is better to play with a deposit alone. To help you in your decision, we specify the advantages of each bonus we recommend. Maximum amount of converted credit – If you manage to meet all the bonus requirements, the bonus credit is converted into real money. The bonus conditions may state a limit for the maximum amount of bonus credit that can be converted into real money. Let’s say that this limit is set to be 5-times that of your original deposit. If you reach a credit worth 3000€ using a 100€ bonus and then you meet the rollover requirements, the casino will nevertheless credit your account with only 500€. Time limit - A casino sets the period of time in which you have to meet the bonus conditions. Mostly it is a calendar month and after this time, the bonus is void. Maximum bet limit - A casino limits the maximum bet amount when playing with the bonus. The reason for this is to prevent bonus hunting. Aggressive games with high variance suit bonus hunters - the easiest way would be to bet the entire bonus in one round of roulette on a single number, in the hope of winning 36-times the bonus amount. Meeting the rollover requirements with this amount will be very easy. You just need to change your game strategy to a strategy with a lower variance and smaller bets. WARNING!!! The bet amount while playing with a bonus is not enforced by the casino. If you violate this condition, some casinos will use it as an excuse to not pay out the winnings. This is a beginner‘s most common mistake. Therefore, always carefully study the bonus conditions, and make sure you keep your bets within the permitted limits. It is possible to get around these conditions on bet amounts using the so-called gamble button. This button allows a 50% probability to double your winnings. Using this functionality considerably raises the variance of a game. 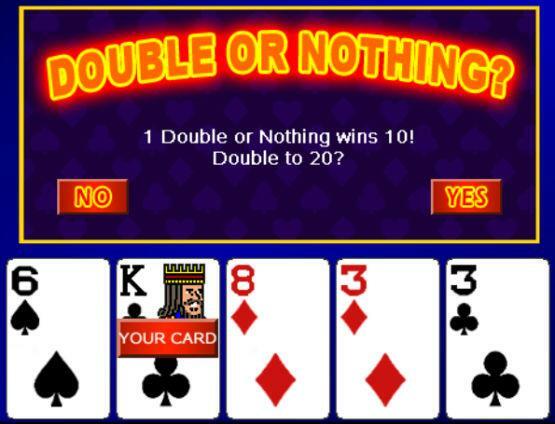 Therefore, some casinos limit the win amount they allow you to double in their conditions. However, it is not enforced in the game, so you have to keep an eye on it by yourself, with reference to the casino’s bonus terms. Many casinos do not allow their players to use the gamble option when playing with a bonus. If you wanted to qualify for a withdrawal to rollover an amount of €1,000 and you only play roulette, you would need to bet 1000/0.25 = €4,000 in total. This also helps to prevent bonus hunting. Blackjack has a payout ratio of 99.5 %. While betting, on average, you lose less, and the lower contribution to WR will force you to bet more times to meet these requirements. Casinos want passionate players who play for fun and not experts who calculate how to take money by playing casino games. Before depositing money, always make sure that your favourite game isn’t excluded from the bonuses. Is a deposit bonus worth it? Many deposit bonuses are worth it. They let you play for longer and boost your chances of winning. Bonuses which aren’t worth it are those where the wagering requirements merge your deposit with a bonus and the bonus amount is less than 100%. Plus, remember that even bonuses with the best conditions at rogue casino are worth nothing. Make sure you check out CasinoGuru’s reviews of online casinos before taking advantage of any bonus.